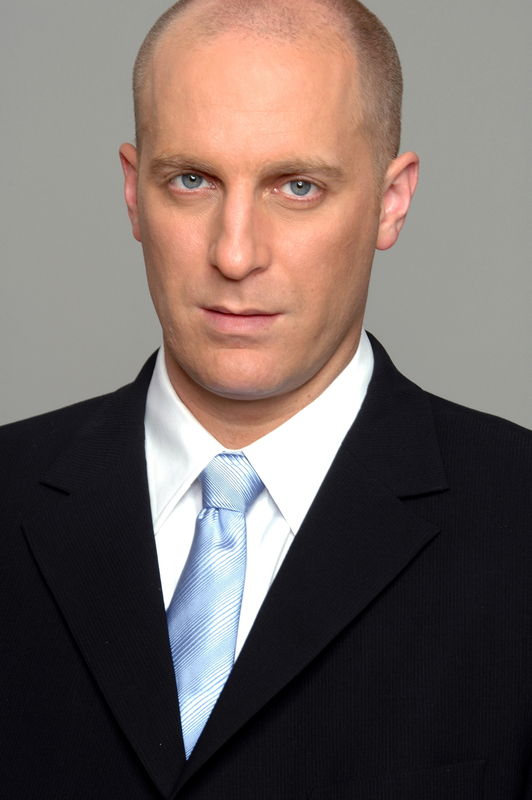 Gidi Grinstein (born 1970) is the Founder and President of The Reut Institute, a Tel-Aviv based nonprofit and nonpartisan institution, described by Tom Friedman of the New York Times as "Israel's premier strategy group". Gidi's first book Flexigidity: The Invisible Hand of Jewish Adaptability was published in 2013. Gidi names his biggest achievements in fifteen years of public service to be the following: Reut, that he founded in 2004 and developed to become a leading force in Israel; the ISRAEL 15 Vision, which he co-authored in 1998 and has promoted since, which became a formal national objective in 2010; the cadre of leaders that Reut has provided with a formative personal and professional experience; his role in designing the Birthright Israel program between 1995-99; and his contribution to the reform of Israel's electoral system. Reut, which Gidi conceived of, established and leads, aspires to be the most effective non-governmental institution in advancing Israel's societal innovation and ensuring Israel's security and prosperity within the framework of 21st Century Zionism. Its mission is to impact the future of Israel and the Jewish World, and make a significant contribution to humanity within the spirit and value of Tikkun Olam. In 2012, Reut had a staff of 28, working in two taskforces in the areas of national security and economic development, with a 2.2 million USD budget funded by nearly 100 private donors and foundations from Israel and the Jewish world. Reut is unique in its commitment to lead societal transformations in areas of critical importance to its mission. Its approach is based on rigorous methodology for identifying strategic threats and opportunities, for articulating new visions, and for designing innovative strategies, It stands out for its unshakeable long-term commitment to effectuating change on this basis. Toward this aim, Reut works and partners with agencies of the Israeli government, as well as with non-governmental groups, corporations, local authorities and academia in Israel and the Jewish world. Examples include the Ministries of Foreign Affairs, Environment Protection, Public Diplomacy, Strategic Affairs, and Welfare; the National Economic Council in the Office of the Prime Minister; TheMarker, Israel's leading economic and business print and on-line media platform; UJA Federations in North American, primarily in NYC and Toronto, and affiliate organizations also in Los Angeles, Orange County, San Francisco, and Dallas; the UJIA in Great Britain; Partnership 2000 of the Jewish Agency; ELKA of the Joint Distribution Committee; Hillel; Jewish Community Centers Association; Israel Leadership Council; American Jewish Committee; and Israel Trauma Coalition. The development of a cadre of strategic leaders for Israel and the Jewish world has been central to Gidi's vision of Reut. Hence, Reut recruits staff that is committed to life-long public service in positions of authority, leadership and influence. Reut provides them with a formative personal and professional experience by running Israel's most extensive program for strategic leadership foundations, as well as intense on-the-job training by working on Israel's most complex challenges. The value of this program has been widely recognized in Israel and around the Jewish world to the point where in the 2011 recruitment cycle, 300 candidates competed for 4 spots. Some of Reut's graduates hold key positions of authority and leadership, serving, for example, as the Head of the Civil Service Cadet Program of the Government of Israel or as the Head of the Strategic Unit in the City of Tsfat. Finally, Gidi views Reut as a national laboratory for developing cutting edge approaches to coping with the radical dynamic changes of the 21st Century. Reut's model has already inspired the overhaul of the Policy Planning Unit in the Ministry of Foreign Affairs, and other leading Israeli government agencies are likely to follow. In addition, Gidi has been involved in attempts to reform Israel's political system. He established and participated in multiple efforts toward this aim. He is proud that the ideas of the Yesodot Group that he founded in 2002 are now the accepted basis for such a reform. Gidi is very proud of the role that he played in designing the Birthright Israel Program between 1995 and 1999, when he established and led the Israeli Team, that transformed the original vision into a model that is now- the largest and most successful project in the Jewish World. Between 1999 and 2001 Gidi served as the Secretary and Coordinator of the Israeli delegation to the Peace Negotiations with the PLO in the Bureau of Prime Minister Ehud Barak. In his capacity, he participated in the 2000 Camp David Summit and in the negotiations on the Clinton Ideas. Prior hereto, Gidi worked in the Economic Cooperation Foundation. Gidi holds a Master degree in Public Policy from the Harvard University Kennedy School of Government as a Wexner-Israel Fellow (2002) and a Bachelor degree in Economics (1991) and Law (1999) from Tel-Aviv University. He served as an economist in the Israeli Navy (1991-1995) and holds the rank of Captain (Res). Gidi is married to Betty and they are parents to five children. He is a long-distance runner, who ran half and full Marathons in Jerusalem, Tel-Aviv, Boston, New York and Los Angeles, and is now training to qualify as a 'Marathon Maniac'. In addition, he holds a Second Degree Black Belt in Karate.